Integrity® from Marvin Windows and Doors has been fulfilling the window and door replacement and remodeling needs of homes for over 15 years. Integrity's unique fiberglass Ultrex® construction, vast array of products, available factory services, unmatched delivery, and network of dedicated Marvin service and support personnel makes Integrity Windows and Doors the perfect choice for any residential remodeling project. Replacement, additions, whole house remodels... whatever your project might be, Integrity has the experience to meet your remodeling needs. Integrity Windows and Doors are available with a Fiberglass Ultrex exterior and beautiful pine interior with some models available in All Ultrex both interior and exterior. Fiberglass Ultrex is a pultruded fiberglass made of thin strands of strong glass cables that are saturated with special compounded resins to create a remarkably durable material. The patented acrylic factory finish is up to 3x thicker than competitive finishes and provides superior resistance to UV degradation. Traditional style meets high performance in this evolution of the classic turn-of-the-century window. Its clean, balanced design is ideal for second floor bedrooms and looks great with shutters. Double Hung windows combine nicely with Picture windows, Polygons and more to create breathtaking windowscapes. This classic window style gets a contemporary twist with an Ultrex exterior and interior delivering high style and a durable finish from every angle. Double Hung windows are ideal for second floor bedrooms or as part of a beautiful bay window combination. Both the top and bottom sashes tilt inward for easy cleaning. Watch this video explaining the strengths of Ultrex "The Perfect Building Material"
Clean sightlines and smooth, dual-arm roto gear operation make these some of our most versatile windows. Add a Round Top for an extra splash of sunlight or pair them with a Picture windows for a great view and a cool breeze. The Ultrex exterior stands up to the strongest wind and rain and the real wood interior delivers the natural beauty you desire. Wood-Ultrex Casement and Awning Windows are available in standard and special sizing. Integrity All Ultrex Casement and Awning windows are quite simply some of the best-built windows you’ll ever find. With a virtually indestructible Ultrex pultruded fiberglass frame and dual-arm roto gear operation, you can count on dependable operation for the life of the window. 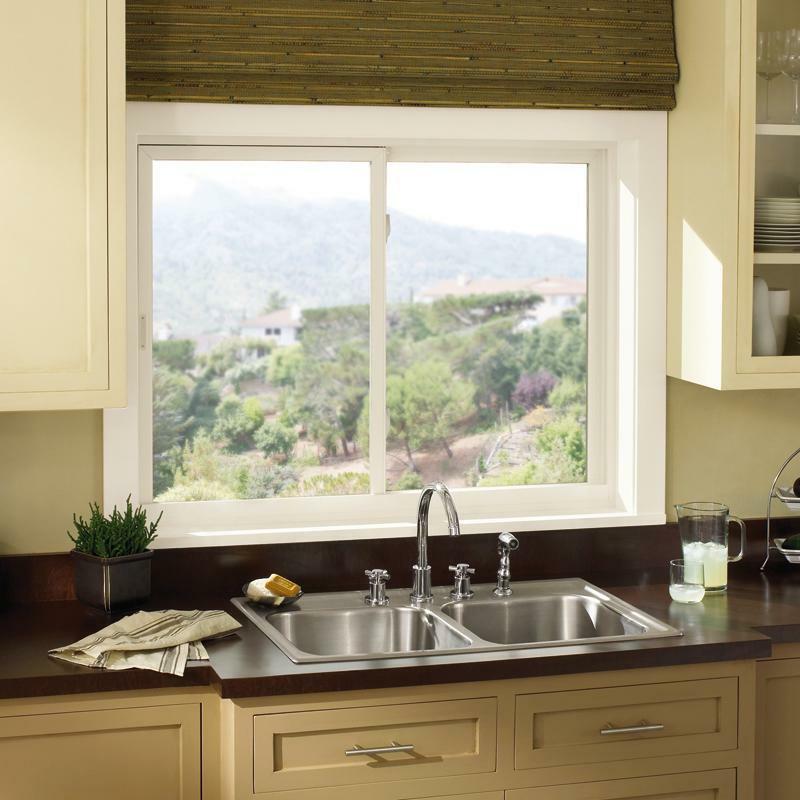 The low-resistance crank makes this an ideal window for almost any room that needs a little fresh air. All Ultrex Casement and Awning Windows are available in standard and special sizing. Integrity Glider windows are exceptionally simple to use because they are one of the few Gliders designed exclusively for horizontal use. Because they offer the same contemporary sightlines as Casement windows, Gliders are ideal where there is not room for a swinging sash. Integrity Glider windows tilt inward in one simple motion for easy cleaning. Glider windows are the perfect alternative to Casement windows where a swinging sash is not practical. Each Integrity Glider window is manufactured specifically for horizontal operation, unlike other gliders that are essentially Double Hung windows turned on their sides. The strong Ultrex interior and exterior ensures the window glides smoothly and stays true on even our largest Glider windows. 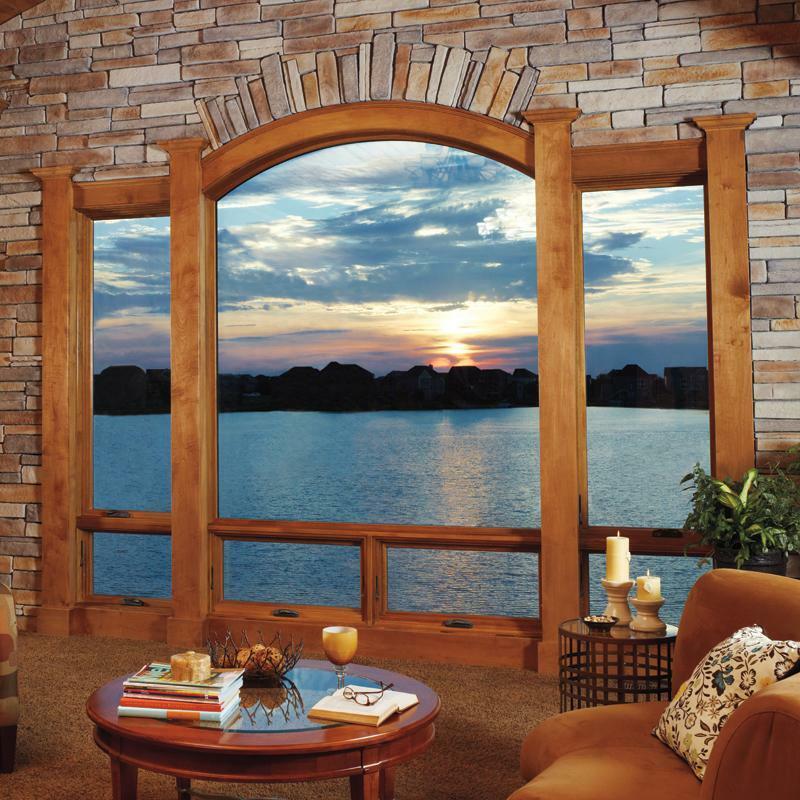 These are the windows that make a house a dream home. Almost any room feels more open and vibrant with the addition of a Bay or Bow window. Whether an elegant arc of Casement windows or a combination of Double Hung, Casement and Polygons, panoramic views await you with a Wood-Ultrex Bay or Bow window from Integrity. A Round Top window is an exciting complementary piece, adding light and flair to windows and turning doors into grand entrances. Available in quarter-round, half-round and elliptical designs, their clean lines are designed to match perfectly with your Intergrity Wood-Ultrex windows and doors. 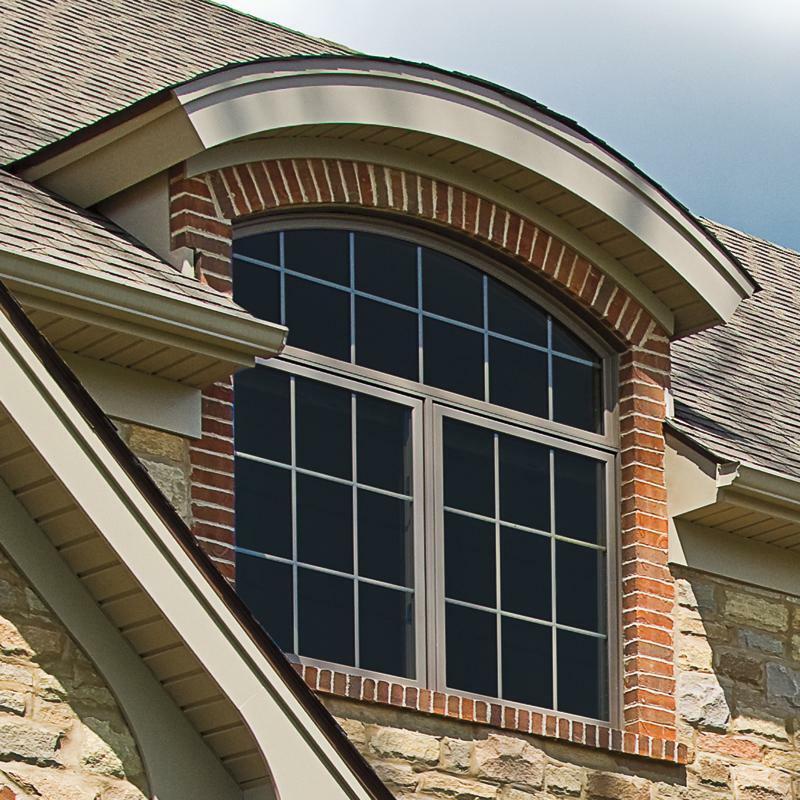 All Ultrex Series Round Tops are the one curved-edge window whose strength matches its beauty. Made from glass-reinforced composite and finished with Integrity’s acrylic capping technology, you get a stunning complement to any Integrity All Ultrex Series window that will last for years.